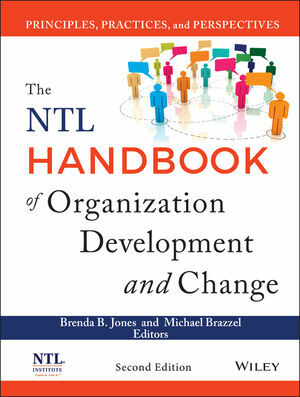 The NTL Handbook of Organization Development and Change is a vital tool for anyone who wants to know how to effectively bring about meaningful and sustainable change in organizations—even in the state of turbulence and complexity that today’s organizations encounter. Featuring contributions from leading practitioners and scholars in the field, each chapter explores a key aspect of organization development. In this new edition, each of the 34 chapters has been revised in response to recommendations from the contributors and NTL members. Brenda B. Jones, M.S., is an organizational consultant with twenty years in OD as an internal and external consultant. She consults in the United States and internationally. Jones is past chair and current member of the OD Network of IODA and a faculty member of the American University/NTL graduate program in Organization Development and the Organization and System Development Program at the Gestalt Institute of Cleveland. Michael Brazzel, Ph.D., is an organization development consultant, economist, uthor, and former executive and manager in United States government agencies. He has experience as an internal and external OD consultant and consulting experience in North America, Africa, Asia, and Europe.